Just chasing some advice on carbon fibre board repairs. 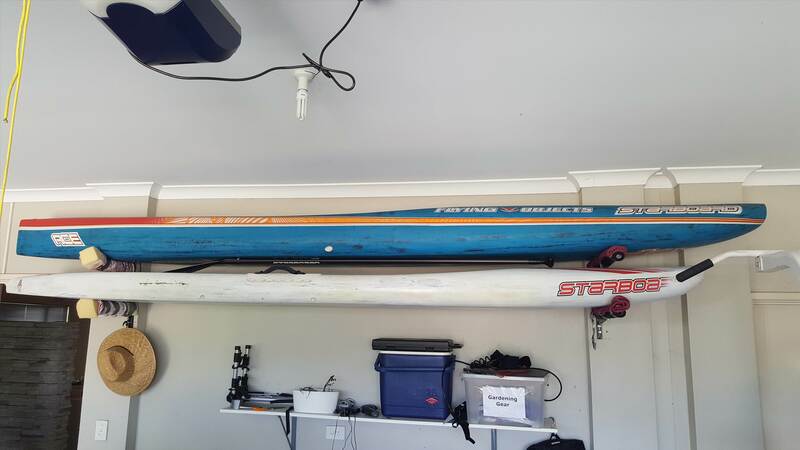 Ive got a old 2011 Starboard Race 12'6 x 31.5" in carbon. It's a ex demo board that needed alot of TLC. I've taken it to 2 people for repairs and everytime I get it back I find more cracks that need fixing. Anywho my dilemma is I think Ive found the last bit of damage to the board and decided to try and repair myself. The front of the board had a big crack in the carbon along the nose rail. I purchased some Phix Doctor 2:1 Epox Resin board repair. I removed the vent plug from the board and followed the instructions for the repairs. Towards the end I noticed pin hole bubbles in a couple of places on the repair area. Should I stress over this or not really? or should I sand it back and give it another coat? Also what paint do you normally use to cover over repairs? And lastly I really love this board and I'm starting to see myself getting attached to it. 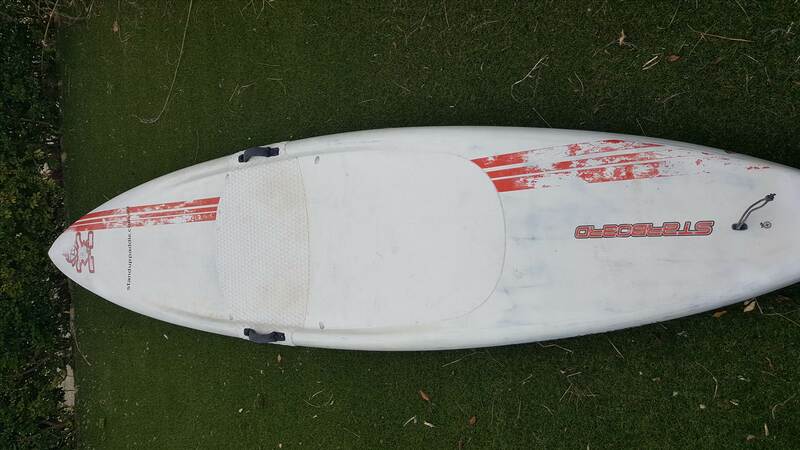 In time can you and is it worth getting the whole board recarbon fibered? I was like you, intimidated by making a proper repair and using various repair kits. My advice: make the jump a do proper repairs. It is actually quite easy to do, and easier to get good results than dabbling with repair kits. - a good epoxy UV-resistant surf resin. You wont believe how things become easier with these. - some carbon band (easier to handle than 1 meter wide cloth), in 2" to 5" width. - a sander, and water-sanding papers. Look at all the tutorials, and know that the only important step is properly mix the resin. Every other mistake can be corrected by removing the bad repair and re-doing it. This said, for pinholes, just do the soapy water test: put board in the sun and soapy water on the pinholes. If no bubbles appear in 2mn, it is waterproof. Otherwise, drill a bit the pinhole and re-apply resin. Just a follow up to the good advice above to let you know Phix Doctor's 2 to 1 Super Sap Bio-Epoxy is used exclusively by Firewire and Channel Islands, and is just over 30% bio sourced, the highest bio content in the industry. By design our mission is to make repair products using the highest performance resins and the lowest carbon footprint packaging at the lowest cost. The reason for this is so the air in the foam is not heating up and expanding. Air pushing out through a freshly lammed repair will cause pin holes IMHO that is. Air pushing out through a freshly lammed repair will cause pin holes IMHO that is. My trick is to always cover the repair with flexible clear PVC tape stretched directly on it. This way pinholes cannot develop (air movements are blocked), you pre-shape the repair so that you end up with minimal sanding, and the resin will not flow and drop. But Bender is right: ensure that the board is cooling down while you apply the resin. Heating it before the repair, if needed. PS: Once the resin is hard to the touch, you can cure it by heating it to 40 / 45C for one hour (lamp, heating blanket). It will harden as much as one week at 20C, making sanding easier. Do not heat more than 50C, however. Do not heat before it is already hard otherwise you will get air bubbles. i highly reccomend that u leave it to a professional epoxy board repairer, such as myself. Because there is so much can go wrong.